Pledge for 2017: Help Leah Become a Public Interest Lawyer! Leah loves her 7th grade science class and wants to be a lawyer. “I like learning about the human body. I want to learn more about how my body works. How organs process food and your lungs help you breathe.” Leah said. Daylight is helping Leah learn the science she needs for her farm. And her teachers have instilled in her a passion for serving those in need. 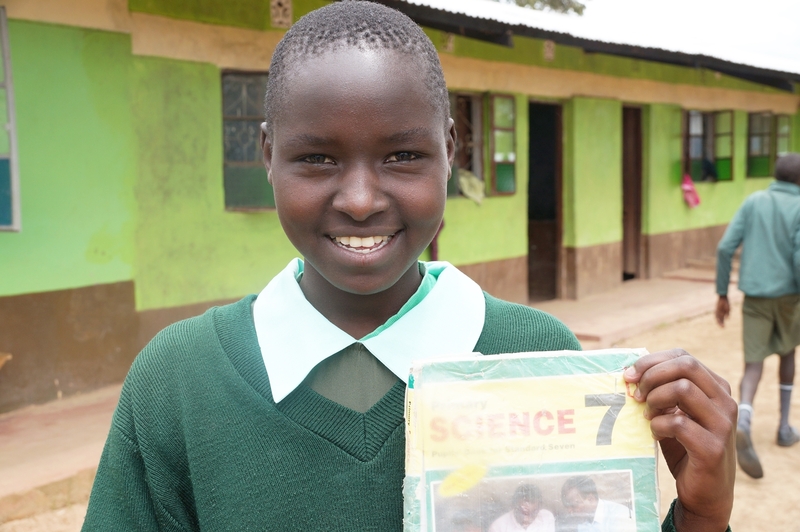 Will you pledge to give $50 a month to support one Daylight student like Leah for a month? Or will you stretch to give the $1,000 that it takes to provide food for all Daylight students and staff for a month? 1. Fill out the online pledge form and contact Elodie at info@daylightcenter.org for information on making recurring gifts through your bank’s bill pay system. Thank you for helping Leah grow and learn. Their friendship is possible because of your support.